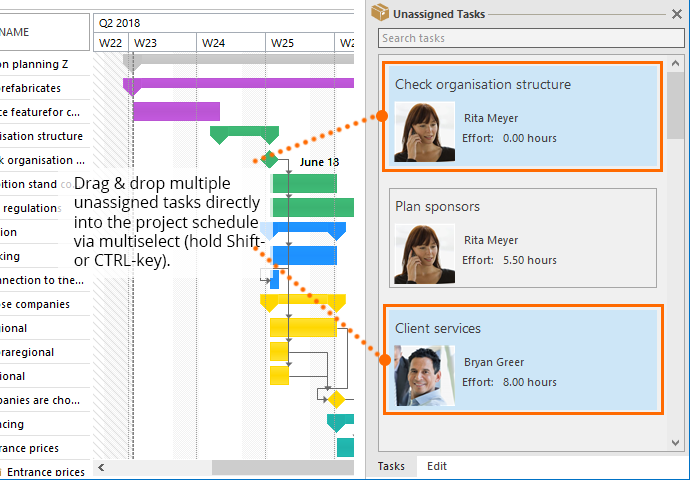 You can add one or more tasks to the project schedule at once using drag and drop. 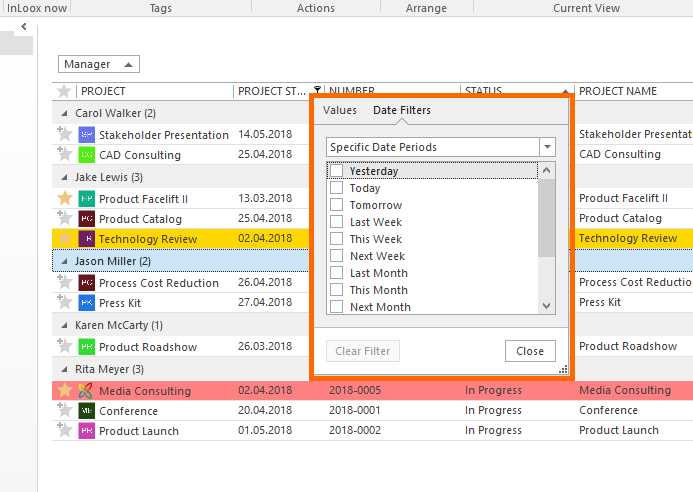 You can select multiple tasks by holding down the Shift key or CTRL key and simply drag the tasks into the project schedule. In each status column the hours of all tasks in the column are added up. This is useful if, for example, you only have a certain number of hours reserved for the project. This feature gives you a quick overview of the estimated workload of all tasks in the project without having to open the dashboard. As soon as you move a task to another column, the number of hours in the respective status column adjust automatically. Wichtig You need to have administrator rights to create custom fields. Similarly to the document structure, you can create custom fields according to individual rules. This is convenient because not every field is relevant for every department. 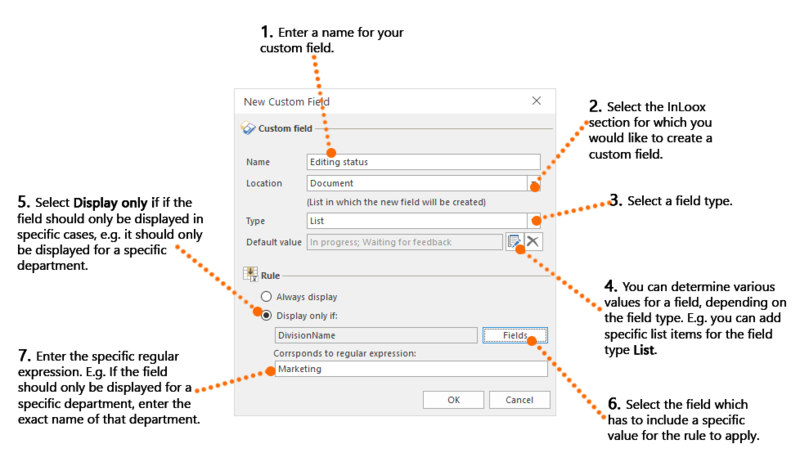 If you have a lot of custom fields, it can be difficult to keep track of which fields need to be filled in and which are only optional. With this new feature you can now define which fields are automatically displayed for which department. 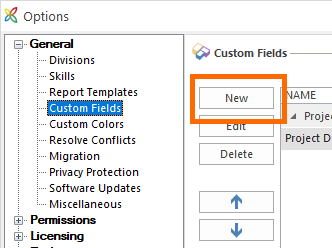 Now confirm with OK. You will now find the newly created field in the list of custom fields. 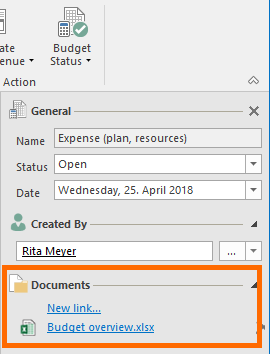 In the dialog box, select the document from the list of existing project documents. You can also click New to upload a new file (New file), link to a new file or add a new internet URL. You can also search for a specific document (e.g. 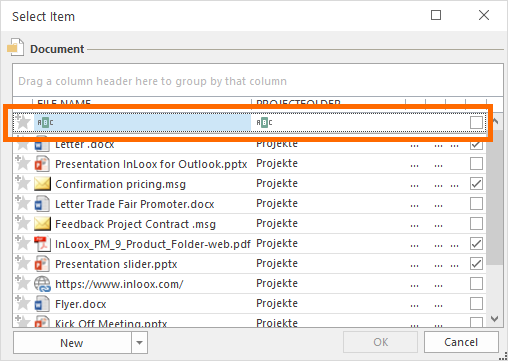 by file name) by typing your query in the bar below the respective column header. 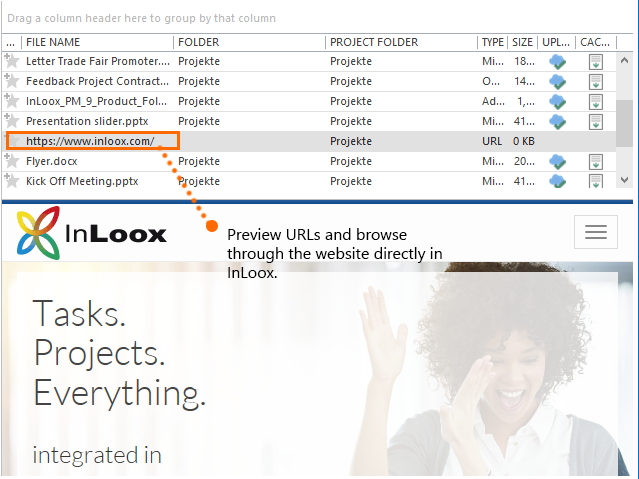 Usability - InLoox • Copyright 1999-2019 © InLoox, Inc. All rights reserved.